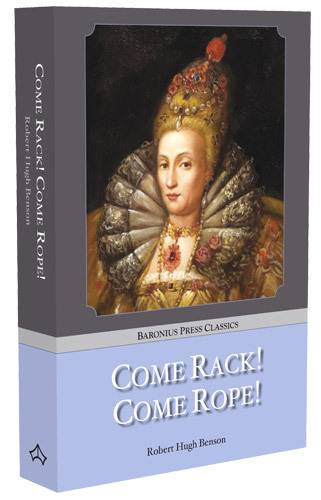 Baronius Press: Come Rack! Come Rope! By Robert Hugh Benson. "The way to become strong is by doing small things you've made up your mind to do, however much you don't want to do them at the time"
Come Rack! Come Rope! 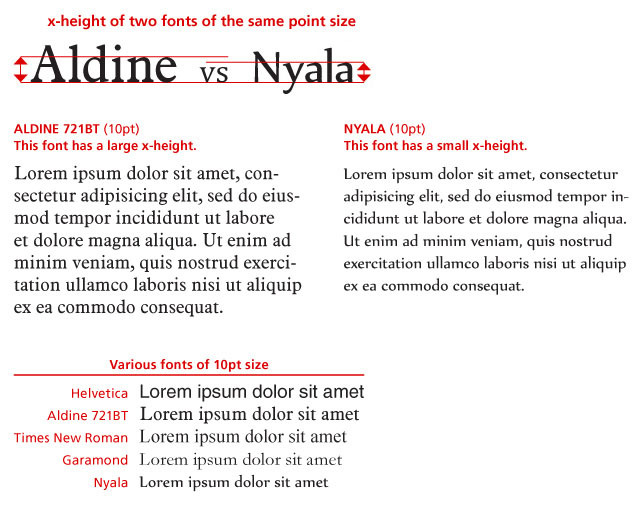 � with an Introduction by Joseph Pearce. This edition has been re-typeset using the text of the 1913 edition originally published by P.J. Kenedy & Sons, New York and Dodd, Mead & Company, New York. Very nearly the whole of this book is sober historical fact; and by far the greater number of the personages named in it once lived and acted in the manner in which I have presented them. My hero and my heroine are fictitious; so also are the parents of my heroine, the father of my hero, one lawyer, one woman, two servants, a farmer and his wife, the landlord of an inn, and a few other entirely negligible characters. But the family of the FitzHerberts passed precisely through the fortunes which I have described; they had their confessors and their one traitor (as I have said). Mr. Anthony Babington plotted, and fell, in the manner that is related; Mary languished in Chartley under Sir Amyas Paulet; was assisted by Mr. Bourgoign; was betrayed by her secretary and Mr. Gifford, and died at Fotheringay; Mr. Garlick and Mr. Ludlam and Mr. Simpson received their vocations, passed through their adventures; were captured at Padley, and died in Derby. Father Campion (from whose speech after torture the title of the book is taken) suffered on the rack and was executed at Tyburn. Mr. Topcliffe tormented the Catholics that fell into his hands; plotted with Mr. Thomas FitzHerbert, and bargained for Padley (which he subsequently lost again) on the terms here drawn out. My Lord Shrewsbury rode about Derbyshire, directed the search for recusants and presided at their deaths; priests of all kinds came and went in disguise; Mr. Owen went about constructing hiding-holes; Mr. Bassett lived defiantly at Langleys, and dabbled a little (I am afraid) in occultism; Mr. Fenton was often to be found in Hathersage�all these things took place as nearly as I have had the power of relating them. Two localities only, I think, are disguised under their names�Booth�s Edge and Matstead. Padley, or rather the chapel in which the last mass was said under the circumstances described in this book, remains, to this day, close to Grindleford Station. A Catholic pilgrimage is made there every year; and I have myself once had the honour of preaching on such an occasion, leaning against the wall of the old hall that is immediately beneath the chapel where Mr. Garlick and Mr. Ludlam said their last masses, and were captured. If the book is too sensational, it is no more sensational than life itself was to Derbyshire folk between 1579 and 1588. It remains only, first, to express my extreme indebtedness to Dom Bede Camm�s erudite book��Forgotten Shrines��from which I have taken immense quantities of information, and to a pile of some twenty to thirty other books that are before me as I write these words; and, secondly, to ask forgiveness from the distinguished family that takes its name from the FitzHerberts and is descended from them directly; and to assure its members that old Sir Thomas, Mr. John, Mr. Anthony, and all the rest, down to the present day, outweigh a thousand times over (to the minds of all decent people) the stigma of Mr. Thomas� name. Even the apostles numbered one Judas! Feast of the Blessed Thomas More, 1912. Robert Hugh Benson was born in 1871, the youngest son of E.W. Benson, a distinguished Anglican clergyman who counted the Prime Minister, William Ewart Gladstone, amongst his friends. In 1882, when Benson was eleven-years-old, his father became Archbishop of Canterbury. Having taken Anglican orders himself, it was Benson who read the litany at his father�s funeral in Canterbury Cathedral in 1896. The son, however, was not destined to follow in his father�s footsteps. In 1903, after a period of conscientious self-examination, the details of which were elucidated masterfully in his autobiographical apologia, Confessions of a Convert, Benson was received into the Catholic Church. Thereafter, for the next eleven years until his untimely death in 1914, he was a tireless defender of the Catholic Church and a prolific novelist and man of letters. In Come Rack! Come Rope!, first published in 1912, the whole period of the English Reformation is brought to blood-curdling life, the terror and tension gripping the reader as tightly as it grips the leading characters, who witness courageously to their faith in a hostile and deadly environment. According to the Jesuit, Philip Caraman, it �quickly became established as a Catholic classic� and remains �perhaps the best known� of Benson�s novels, although his futuristic tour de force Lord of the World is surely its literary equal and the lesser known Richard Reynal, Solitary remains sadly and undeservedly neglected. The inspiration for the novel came from the account of the Fitzherbert family in Dom Bede Camm�s Forgotten Shrines, published in 1911, and from Benson�s own visit, in the same year, to the Fitzherbert house in Derbyshire, where he preached at the annual pilgrimage in honour of the Catholic priest-martyrs, Blessed Nicholas Garlick and Blessed Robert Ludlam, who were executed in 1588. From the blood of these martyrs came the seed of Benson�s story. The novel�s title is taken from the famous promise of St Edmund Campion that he would remain steadfast, �come rack, come rope�. Campion was executed in 1581. Hilaire Belloc, on the other hand, begged to differ. Although he was, for the most part, a great admirer of Benson�s work, writing on one occasion that he believed that Benson would �be the man to write some day a book to give us some sort of idea what happened in England between 1520 and 1560�, Belloc complained that the description of daily life in Come Rack! Come Rope! was inaccurate, resembling life in the eighteenth, not the sixteenth, century. Casting these differences aside, the novel is, in any case, much more than mere historical fiction. It is a great romance, a great love story. It is a story that shows the romance of Rome and the true greatness of a noble and self-sacrificial love between a man and a woman. The love between Robin and Marjorie, the two principal protagonists, is a love far greater than that between Romeo and Juliet. Their love for each other has none of the possessiveness of Shakespeare�s �star-cross�d lovers� and everything of the purity and passion of Lear�s Cordelia. As a love story alone, Come Rack! Come Rope! deserves its place in the canon. As for the novel�s climax, one must agree with Hugh Ross Williamson that �it is impossible not to be moved by the last chapter which, as far as I know, has never been bettered as an account of an Elizabethan martyr�s execution�. For potency and poignancy, the novel�s climactic moment compares in literary stature with the final, fateful moments of Lord Marchmain in Waugh�s masterpiece, Brideshead Revisited. And if Benson�s finale lacks the subtlety of Waugh�s denouement it matches it for dramatic tension. �Joseph Pearce, author of biographies of Tolkien, Chesterton, Solzhenitsyn and Wilde, is Writer in Residence and Associate Professor of Literature at Ave Maria University in Naples, Florida.